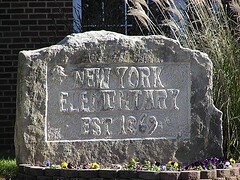 This elementary school is not located in New York. It is located on New York. New York Street in Lawrence, Kansas to be exact.